Not sure whether you all are aware of a beauty brand from Taiwan called Swissvita? My first exposure to this brand was when I first tried the Micrite 3D All Use Anti-Spot Serum from Princess. I am a girl with freckles since I was 10 y/o if I'm not mistaken. Therefore, the word " Anti-spot" absolutely caught my eyes at that time. I started using the product and the experience of using Swissvita's product was good so I'm really excited to have a chance to try their other hot-selling products: Micrite 3D All Use Eye Cream & Acne Soothing Cleansing Cream. As we grow older and wiser, we start to concern more of our skin: toner, moisturiser, serum, sunblock, mask and etc are the daily essentials for each and everyone of us nowadays. However, eye care is the thing that most of us will neglect. Instead of choosing a right product for eyes, many people tend to take a shortcut by using the same product they use for their face to apply on their eyes area. We must know that the skin around eyes is sensitive, we need an extra care for our windows to the soul before it is too late. Thanks god, Swissvita provides us with an ideal solution. 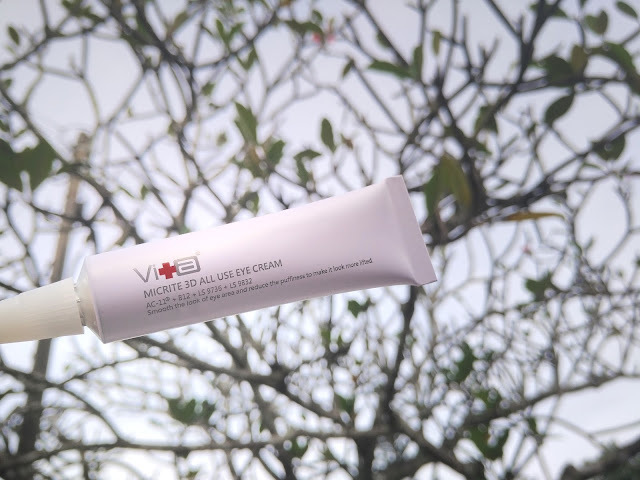 With just 7 seconds, Swissvita Micrite 3D All Use Eye Cream can result in the instant lifting of the skin around your eyes. After 7 hours, visible improvement of your dark circles and puffy eyes. In 7 days, reduce fine lines and wrinkles so you look younger now! The aluminium sealed tube package is totally different from other eye creams that I owned before. It prevents the risk of contamination by external air pressure so thumbs up in term of its hygienic practice. However, due to the design, the cream is flowing out uncontrollably and unstoppable after you provide a small force on the tube. The only way you can stop the cream from coming out is to close the lid immediately. My advice is, act fast when you apply it and close it immediately so that you won't waste it! Other than that, everything is good. The size of the eye cream is small so it is convenient for me to bring everywhere. 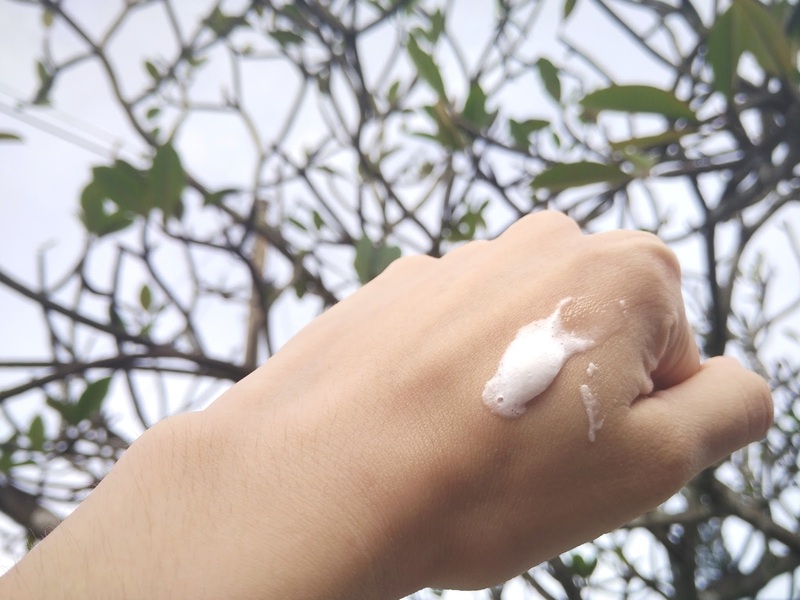 In term of texture, it is transparent and non-greasy which is my main concern when choosing eye care products as small bumps will result if the eye cream is too oily or sticky to me. Most importantly, it is fragrance-free, paraben-free and alcohol-free, best for those with sensitive skin. I usually apply a small dot of the formula around cleansed eye area every morning and before sleep. Gently tap and massage the eye area and allow it to absorb. It leaves a nourish but not sticky feeling around my eyes area. 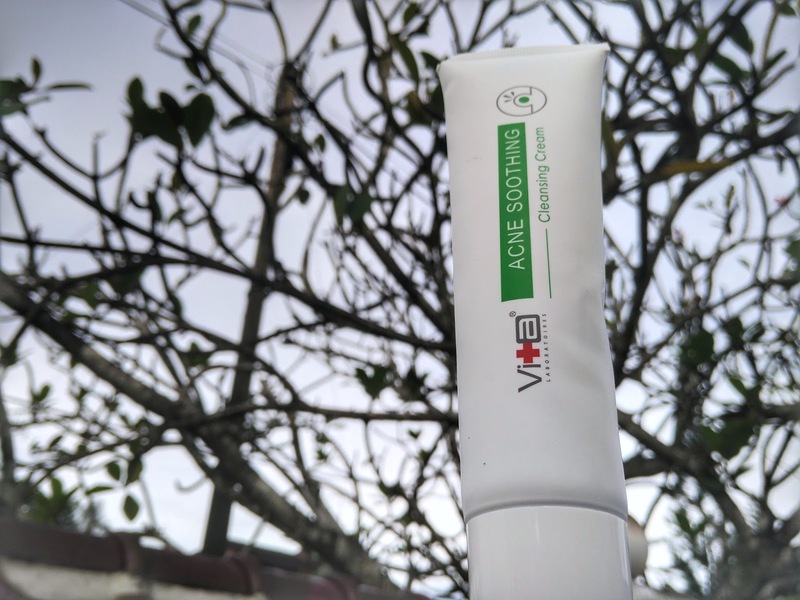 The next product that I am going to introduce is Swissvita Acne Soothing Cleansing Cream. 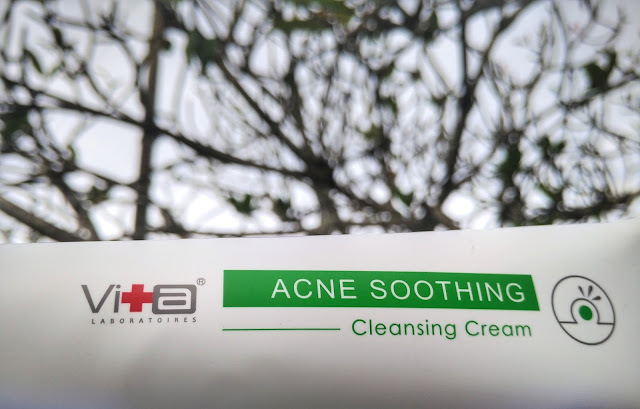 As its name implies, it fights against acne and provides the user with clean and clear skin. Many people have a misperception that cleanser does not stay on our skin very long, so we can anyhow choose the cleanser as long as it is able to "clean" our skin. However, we must know that a good cleanser can actually help to exfoliate dead skin cells and clean out oils and specks of dirt that clog our skin pores. When the pores are clean, acne problem can be controlled. This is what Swissvita Acne Soothing Cleansing Cream can do for us! 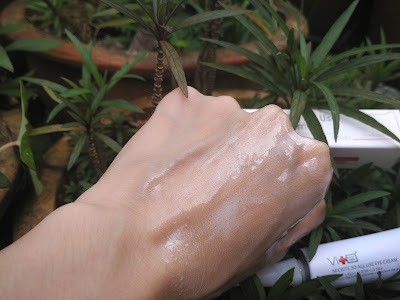 Basically, it is suitable for those with oily skin and combination skin as people in these categories always suffering from oily and pimples face. 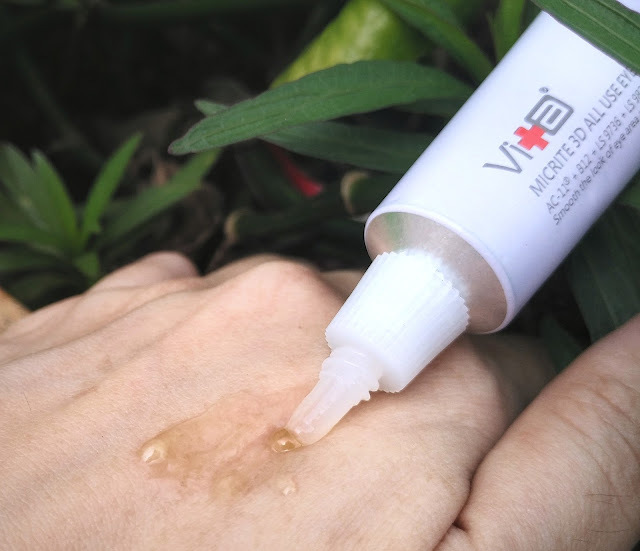 Formulated with citric acid, Swissvita Acne Soothing Cleansing Cream is a medical-grade product that targets the blackheads and stubborn acne bacteria that causes breakouts. 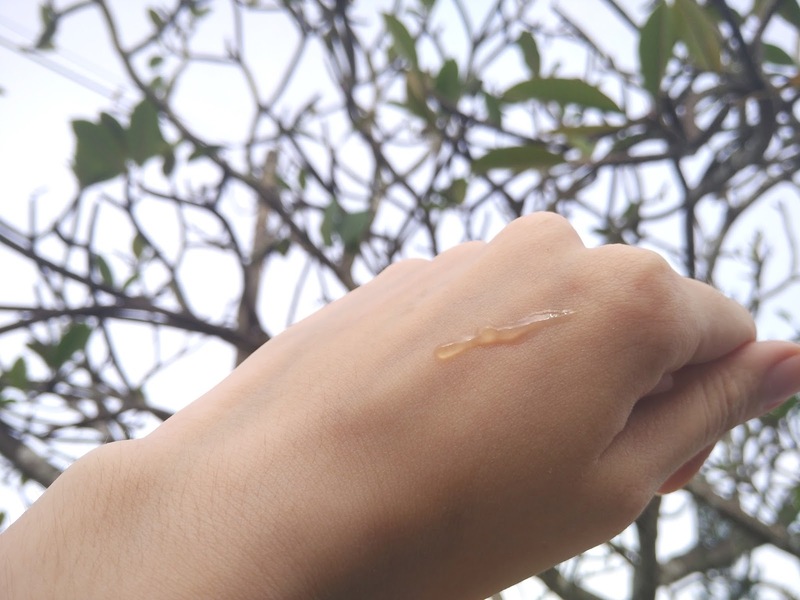 Besides, the natural plant extract is effective in balancing out the oil of your skin, thus reducing the appearance of pores especially in T-zone area. It has a creamy texture just like the foam cleansers that we can see on market. Once mixing with water, it turns into a milky liquid with slightly foam formation. 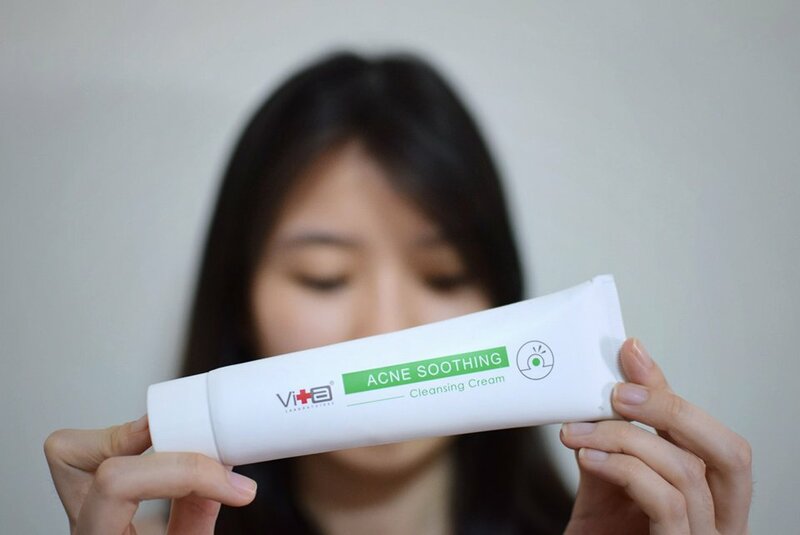 As overall, Swissvita Acne Soothing Cleansing Cream is a gentle and mild cleanser that provides me with a clean but not dry skin. The most significant effect I can see after using it for some time is smaller pores around my nose and less sebum excretion during the daytime. Will continue to use it to see how it improves my skin condition. Wondering where and how to purchase it? I got mine from ALLYOUNG.MY and you can now get the RM10 discount with no minimum spending when you key in the promo code "SWA10". Valid until 28/2/2018. Faster grab one for yourself before it's too late! Other stores available are Hermo, Lazada, and Zalora.